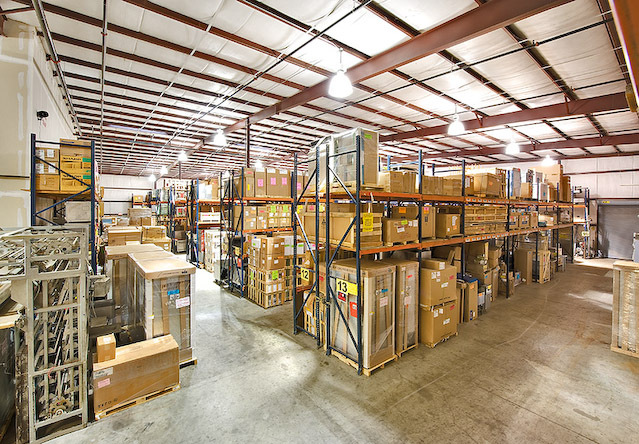 Our 20,000 square foot warehouse is yet another advantage. We carry a large selection of name brand quality equipment that is available for immediate delivery. And, if we don't have it in stock, we can quickly order it for you. If you need to stretch your equipment budget, you may want to check out our reconditioned equipment that sells for considerably less than new. Many of the reconditioned items are non-mechanical (work tables, hoods, seating, shelving, sinks) so their usefulness is never in doubt. You will want to visit us regularly as we have value priced shipments coming in every week.